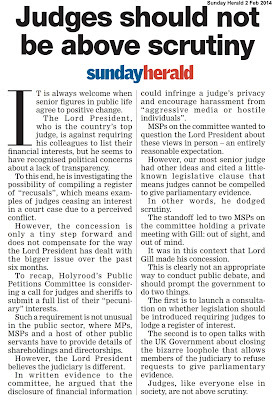 MSPs hear top judges need register of interests. 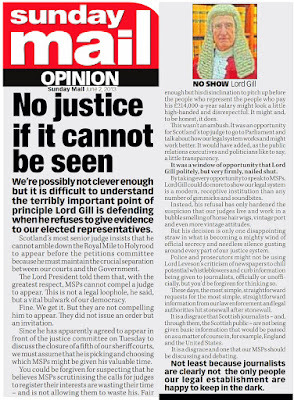 A SENIOR Scots Law Academic – Professor Alan Paterson - has told the Scottish Parliament there is an expectation accountability applies to the judiciary as a branch of the state, and there is a need for judges in the highest courts to declare their interests. 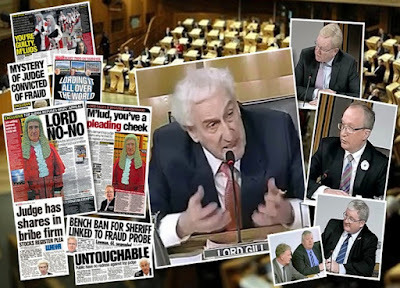 MSPs also heard from the legal academic on one of the “shakiest moments” of judicial interests and recusals – in relation to the General Pinochet case - now the standard example of what went wrong when a judge in the House of Lords – Lord Hoffman - failed to declare an interest. In responses to questions, Professor Paterson said he thought if a register of judicial interests had existed, it would have caught Lord Hoffman’s chairmanship of the Amnesty International Committee – the undeclared interest which sparked an appeal by General Pinochet’s lawyers against extradition to Spain in 1998. 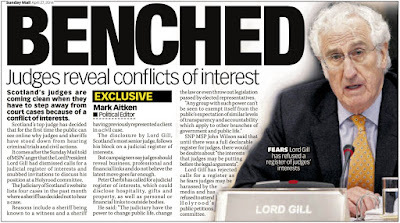 Significant concerns were raised by the Committee in relation to the ‘Recusals Register’ created by former Lord President Lord Gill in the spring of 2014 – a move at the time Gill had hoped would closed down calls for judges to declare their vast interests and wealth in a publicly available register of interests. 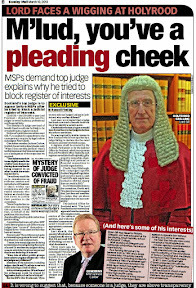 In a key moment during the meeting, Deputy Convener Angus Macdonald MSP (SNP) raised a hypothetical scenario of a judge in the Court of Session failing to recuse himself after discovering his own son was acting as a litigation solicitor for one of the parties. 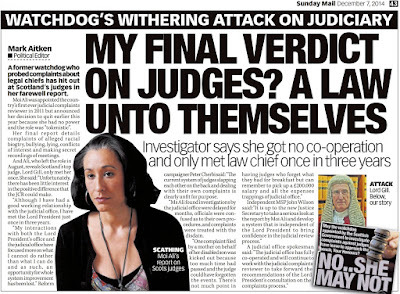 However, it has since emerged new evidence from the Court of Session is set to reveal more judges have failed to recuse themselves on numerous occasions where direct family members appeared in cases heard by their own parents. 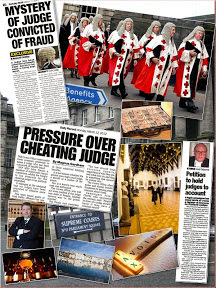 In one key case which may significantly impact on calls to create a register of judicial interests, several MSPs are now believed to be aware of a series of failures by a judge to recuse himself in a case where a solicitor - acting on behalf of a law firm linked to the multi million pound collapse of a Gibraltar based Hedge Fund – appeared in front of a judge who turned out to be his own father - on multiple occasions. 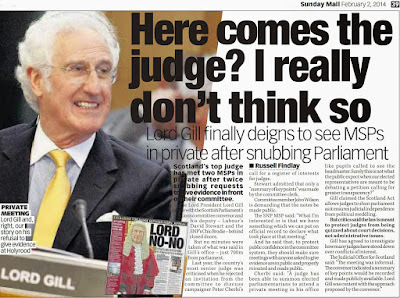 The case – details of which are to be made public – has the potential to blow apart the integrity of Lord Gill’s ‘Recusals Register’ due to the sheer number of appearances by the same judge in the Court of Session - while his own son was the acting solicitor for the defenders. 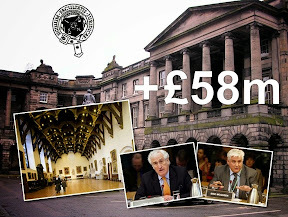 Documents from the case now being studied also reveal a shocking fact – it has now been established millions of pounds of public money was paid out by a Scottish local authority to the defender’s main contractor after a ruling by Lord Woolman in January 2014. 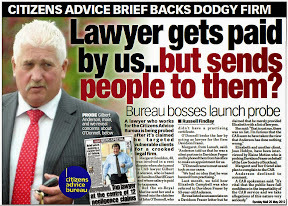 The public cash was then to be paid to the defenders under a sub-contract agreement in an issue relating to why the case was brought to court in the first place. However, the pursuer received not a penny despite the defenders admitting in court papers to illegal dumping of contaminated waste on someone else’s land. 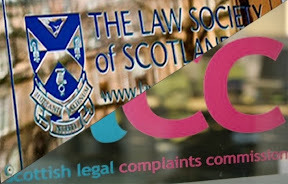 Construction firms who hold contracts with numerous local authorities, and Scottish Government agencies including the Scottish Environmental Protection Agency (SEPA) are known to be heavily involved in events which led to the case ending up in the Court of Session - yet for some reason, opinions by several judges involved in hearings have not been published and are “difficult to obtain” from the Scottish Courts Service. 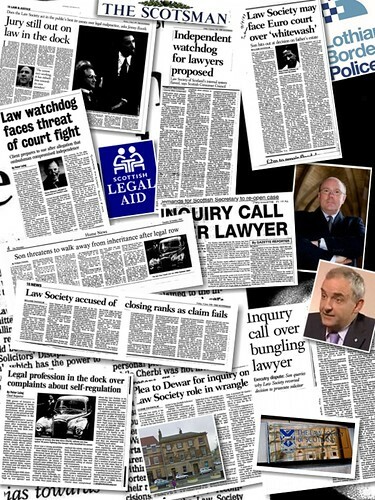 Tackling the issue of costs, over the issue of ensuring a fair hearing - MSP Maurice Corry (West Scotland) Scottish Conservative) asked Professor Paterson if he thought developing the recusal system in a way which required someone other than the judge hearing the case to decide on a recusal would add extra costs and delays to cases being heard in the courts. 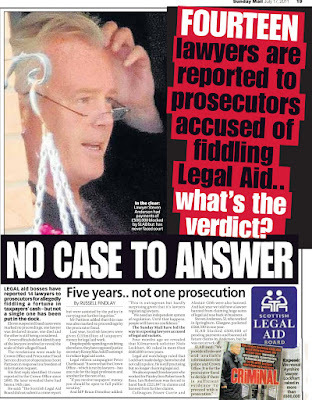 Responding to Mr Corry, Professor Paterson said it could, but pointed out the failings of the current recusal register where little information is given away on the actual recusal and whether a judge refused to recuse himself in a case. Mr Corry - who had earlier moved the petition be closed down at the meeting of the Petitions Committee on 29 September 2016 – also asked Professor Paterson for examples where a case may have been caught by a register of interests. 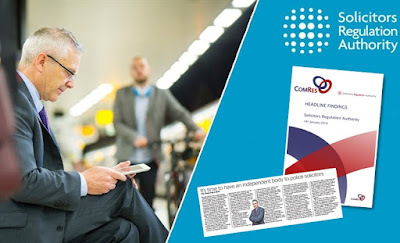 At the conclusion of the most recent evidence heard in relation to Petition PE1458, the Public Petitions Committee agreed to write to the Lord President Lord Carloway and the Judicial Complaints Reviewer – Gillian Thompson OBE. The Convener: Agenda item 2 is consideration of continued petitions. First, we will take evidence from Professor Alan Paterson on petition PE1458, on a register of interests for Scotland’s judiciary. As members will recall, the petitioner suggested that the committee might wish to invite oral evidence from Professor Paterson, and he has agreed to appear this morning. Professor Alan Paterson: Thank you, convener. I am happy to answer any questions that the committee might have on this topic. The Convener: Thank you. Do you think that there is a third factor—simple transparency? That is not in conflict with independence; it is just about basic standards and reasonable expectations of openness. Professor Paterson: To me, transparency is part of accountability. The prime things that we require for accountability, generally speaking, are that judges give reasons for their decisions and that they identify who is making the decisions. 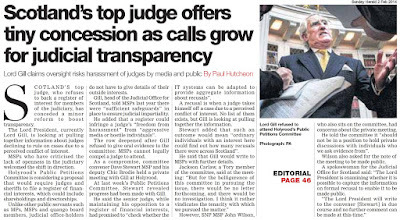 That is part of transparency, and the question of a register of interests is part of the issue of transparency. The Convener: Do you have a view on what types of information should be included in a register of pecuniary or other interests? 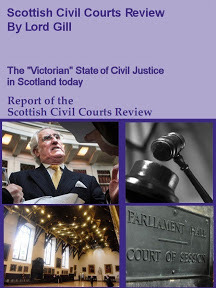 Professor Paterson: As I have said, I do not have a concluded view on whether we should have a register of interests for the Scottish courts but, as far as the Supreme Court is concerned, there is the example of the American Supreme Court. 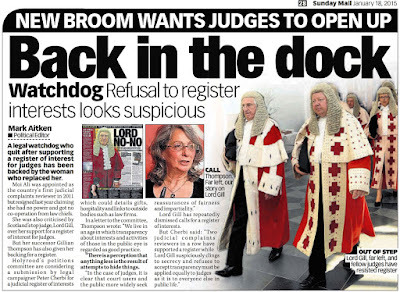 Some might say that that is a slightly more political court than our courts but, nonetheless, its judges have to register their interests. 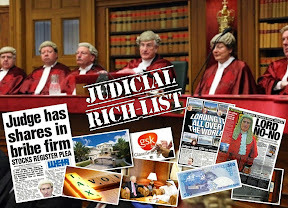 They have to declare their financial interests, their shareholdings, their hospitality, what gifts they receive and what tickets to American football matches they get. All sorts of things have to be declared including membership of golf clubs and so on. At the start of their Supreme Court career, they also have to provide a detailed account of the clubs they are members of, their trusteeships, whether they are masons and all those issues. From time to time, the system throws up issues, but it works. The Convener: That is interesting. Thank you. Maurice Corry (West Scotland) (Con): Good morning, Professor Paterson. 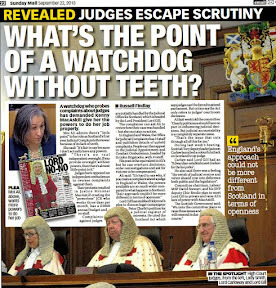 An issue that has been raised in evidence is whether a register would capture circumstances in which a conflict would make it inappropriate for a judge to hear a case. However, a judge might become aware of a conflict only when they saw a witness list and were able to identify a social relationship with a witness. Do you have any views on that? 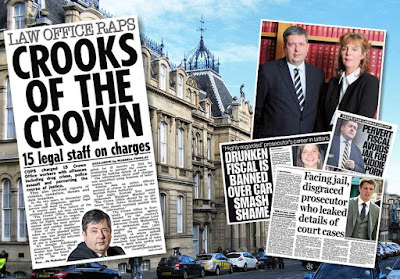 Professor Paterson: The judicial oath and the judicial code of conduct, which are very important in Scotland, mean that a judge who knows that they have an interest—for example, a relative who is a party in a case is going to appear before them—will be expected to stand down. At its best, a register of interests would identify some conflicts and either remind the judge or alert others to the fact that they potentially have an interest, although not necessarily in the case of relatives. 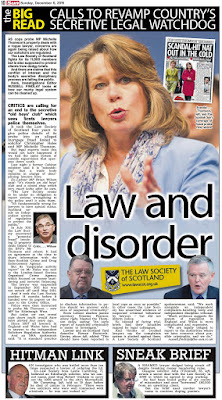 Rona Mackay (Strathkelvin and Bearsden) (SNP): Good morning. Can you expand a wee bit on examples of judicial office-holders registering their interests in connection with other roles? 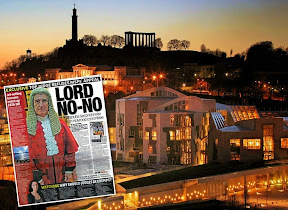 The petitioner has noted that in connection with the board of the Scottish Courts and Tribunals Service and you have mentioned the Supreme Court. Are you aware of any issues that have arisen for those judicial office-holders in being able to hear cases in connection with registered interests? What precedents are there that you know of in that field? Professor Paterson: I am not sure that I have an answer to that question. Do you know what the petitioner was getting at and can you elaborate a little more on what was troubling him? Nothing springs to mind. 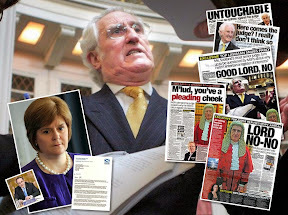 Rona Mackay: I think that he raised the whole subject in connection with the board of the Scottish Courts and Tribunals Service. 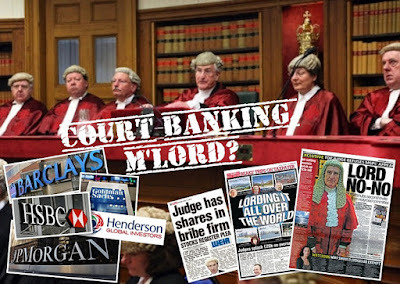 You mentioned the similarity between those on the Supreme Court and the former law lords, so I wanted to tease out your opinion on what issues could arise from that. Professor Paterson: I apologise for being unhelpful, but nothing on that immediately springs to mind. Rona Mackay: That is fine. 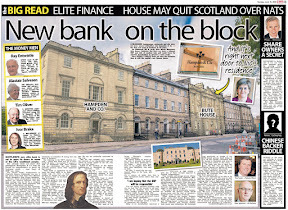 Brian Whittle (South Scotland) (Con): Good morning. The former judicial complaints reviewer commented on the possible implications of the publication of recusal information in respect of possible conflicts of interests only becoming apparent after a case has been heard. 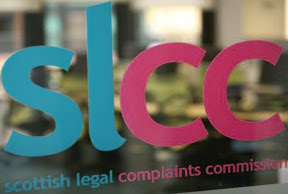 Her view was that a register of interests could avert complaints by enabling any perceived conflicts to be addressed before or at the time when a case was heard. What are your views on that? 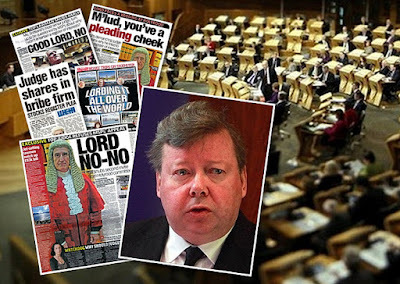 Professor Paterson: Let me go back to the House of Lords and the Supreme Court. One reason why I raise an eyebrow at the stance of the Supreme Court on this issue is that one of its shakiest moments was the General Pinochet affair. General Pinochet came to the UK for medical treatment and a Spanish judge using appropriate international processes arranged for him to be arrested for alleged crimes in the junta in Chile. 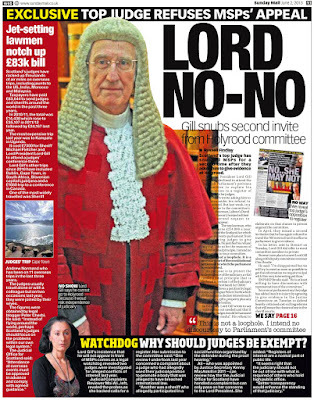 His case then went up to the House of Lords. 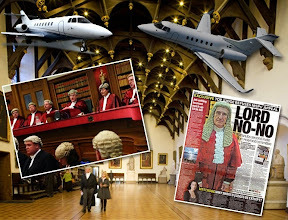 At relatively short notice, the membership of the panel that was to hear the case had to change and Lord Hoffmann was brought in as the next most senior judge. 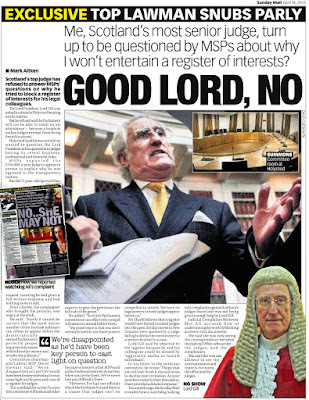 The fact that Lord Hoffmann’s wife worked for Amnesty International in some capacity was—we think—known by the senior law lord when they organised the panel. However, it was all done with some haste, and it is not at all clear that the panel was aware—they said that they were not aware—that Lord Hoffmann acted on a committee that raised funds for Amnesty International. The Convener: A second interesting point arising from the Lord Hoffmann case is not the judge’s own involvement but the spouse’s occupation. That would not go on a register, would it? 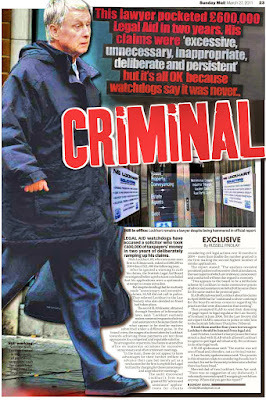 Professor Paterson: Possibly not, but, as I understand it, that was known about in the Hoffmann case. The Convener: So that was not the issue. 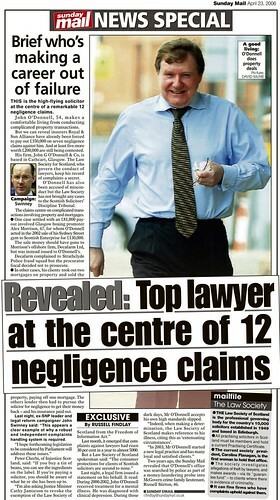 Professor Paterson: That is my understanding of the case. The Convener: That is very helpful. Thank you. 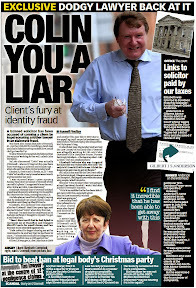 Angus MacDonald (Falkirk East) (SNP): Good morning, Professor Paterson. The example that you have just given backs up the suggestion in your written submission that the decision on recusals should not be taken by the judge who has been challenged. Would you expand on that? Professor Paterson: Again, that is an area on which I do not have a fully formed mind. 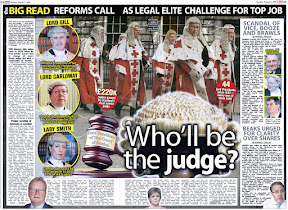 Like the author R Grant Hammond, who has written the standard work on judicial recusal, I take the view that, as far as appellate courts are concerned, there is an argument for saying that if one member of the court is challenged, he or she should not be the one that makes the decision. However, that might be the counsel of perfection. When it comes to a sheriff in a rural part of Scotland, it might be quite impractical to suggest that another person make that decision. As I have said, I do not have a concluded view on it. Angus MacDonald: On the issue of recusals, let me throw a hypothetical example at you. 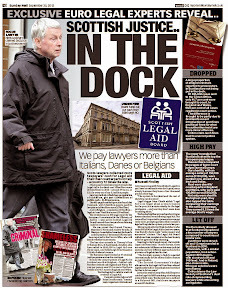 The son of a judge is the litigation solicitor for a defendant in, for example, the Court of Session, but the judge fails to recuse himself and to highlight the family connection to all interested parties. Clearly such a situation could be avoided were the decision on recusal not to be taken by the judge presiding over the hearing himself. We would look to avoid such a situation, and the register would help. 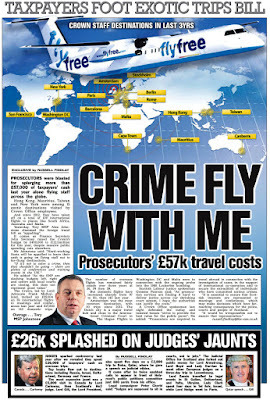 Professor Paterson: It might—and if we are talking about a criminal defendant, it would be the High Court. Generally speaking, a relationship would be known to the parties. In the past, it was not unknown for an advocate who was a relative—a son or daughter—of a judge to appear before that judge. In a small country such as Scotland, saying that such a thing could not happen would make things a bit tough. It used to happen. As long as everybody knows about it and it is declared, it should not mean an automatic disqualification. In such situations, all the parties usually know and no objection will be made. Maurice Corry: What consideration have you given to the potential for additional costs or delays to cases being heard if the recusal system were to be developed in the way that is proposed? Professor Paterson: You are right to raise the issue—that is why I highlighted the practicality issues. Recusal is one of those areas in which it is necessary to have an appropriate balance between transparency, accountability and independence. 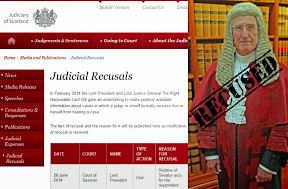 We have a register of how often judges recuse themselves but, as I have pointed out, we do not know how often they do not recuse themselves, so we cannot form a view on whether they have always got it right or whether there are situations in which they did not get it right. 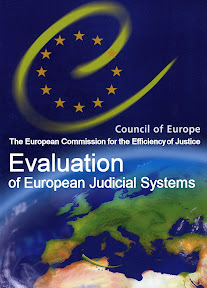 Maurice Corry: Are you aware of any serious examples of cases in which the issue has been a significant problem, indicating that the setting up of such a register is necessary? Professor Paterson: The Hoffmann case is the standard example of something going wrong. From time to time, challenges to the courts receive a degree of publicity, but I am not aware of any that were as significant as that one. The Convener: There are no further questions. Thank you for your helpful and balanced evidence, which has given us an interesting insight into the issues. Angus MacDonald: Given the evidence that we have heard this morning, I think that we need to seek a further response from the Lord President, Lord Carloway. 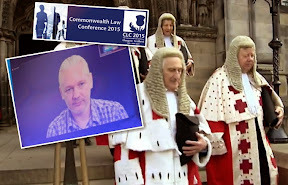 I, for one, would like to hear his views on today’s evidence, either by letter or in person, and I am particularly keen to find out his view on whether the recusal decision should not be taken by the judge who has the interest that has been challenged. Another suggestion has been put into the pot that would be well worth our consideration. The Convener: We can look at the most convenient way for the Lord President to provide that response, because we do not want to cause unnecessary inconvenience. Rona Mackay: We would not be re-asking the previous question. We would be going back to him with a new request. The Convener: Is there anything else that we might do? 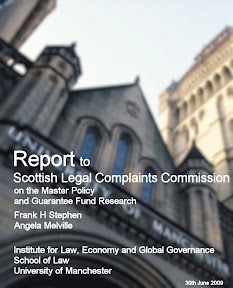 Angus MacDonald: There was also the suggestion that we ask the judicial complaints reviewer for her view on the evidence that has been given today. We should go down that route, too. The Convener: Do members agree to take those actions? The Convener: Again, I thank Professor Paterson for coming to the meeting. It has been very helpful. I suspend the meeting for a couple of minutes. 09:25 Meeting suspended. 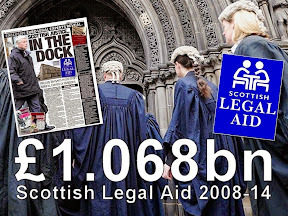 A number of additional cases documented on the petition webpage maintained by the Scottish Parliament aired in written submissions also provide evidence where litigants and defendants in Scotland’s civil and criminal courts are not being made aware of judicial relationships or conflicts of interest. 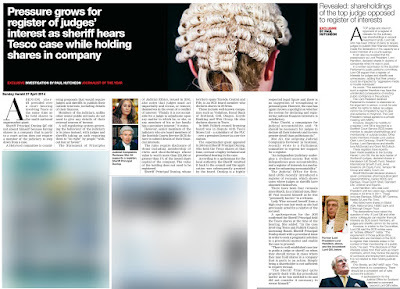 The frequency by which court users are not being made aware of such conflicts of interest within the judiciary appears to suggest such omissions are not happening by accident. 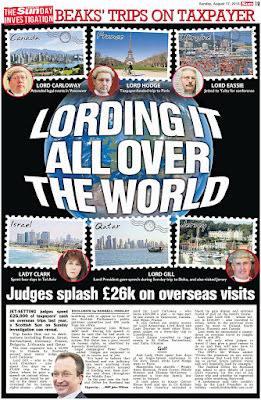 Misgivings on the attitude of members of the judiciary to reveal conflicts of interest are on the rise - particularly after one case revealed a senior judge – Lord Osborne – heard (and denied) the appeal against conviction of a man he had earlier prosecuted while working at the Crown Office. 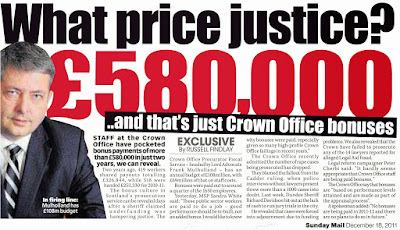 Asked to comment on the matter, Lord Osborne claimed to a Sunday Mail investigation that he “forgot” he was the Prosecutor who put the man away for an alleged crime - which has been the subject of a long running and widely supported miscarriage of justice appeal. 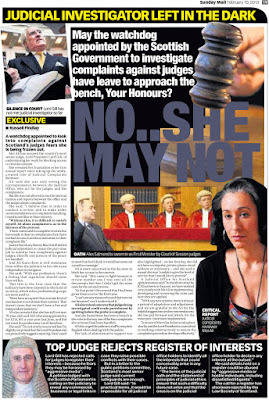 Another case revealing the limitations of allowing judges to decide themselves whether to recuse from a case or not, was revealed in an investigation by the Sunday Herald newspaper after it emerged Sheriff Principal R Alistair Dunlop heard a case involving supermarket giant Tesco - while he held shares in the same company. 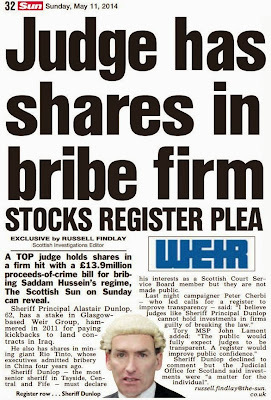 A a further investigation by the Scottish Sun newspaper revealed the same Sheriff Principal R Alistair Dunlop - held shares in a number of companies convicted of criminal offences at home and abroad, including Weir Group - subject of Scotland largest Proceeds of Crime cash seizure after the company was convicted of bribing their way into contracts with Saddam Hussein’s regime in Iraq. 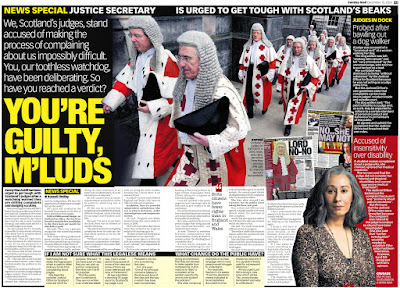 Dunlop – who formerly sat on the Scottish Courts and Tribunals Service Board retired after the headlines, but was then brought back into service by the Lord President - to sit in the new Sheriff Appeals Court. 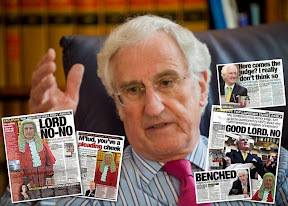 In early 1999, Law Lords from the House of Lords who handled judicial functions now assigned to the UK Supreme Court - attacked their colleague Lord Hoffmann who failed to declare links with a human rights group before ruling in a key hearing on the late General Augusto Pinochet. In the Law Lords written judgement on the Pinochet Appeal - Opinions of the Lords of Appeal for Judgement in the cause RE: Pinochet, they give their detailed reasoning for overturning a ruling by a previous panel of Law Lords which had denied the former Chilean dictator freedom from prosecution. 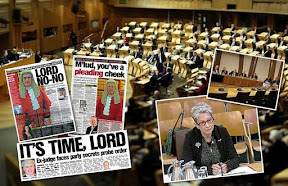 At the conclusion of the latest consideration of Petition PE1458, MSPs who sit on the Public Petitions Committee agreed to write to the Lord President Lord Carloway and the Judicial Complaints Reviewer – Gillian Thompson OBE.